This month brings us the very first guest editorial for 2018. Hailing from the underground rock scene in Wellington, Hault released their debut self-titled album last year. 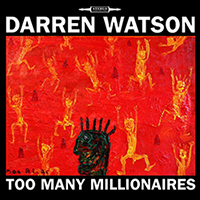 Their album was described as "...the music comes back to the fore and Hault create enough variation to keep things interesting..." by muzic.net.nz. With a solid rock history that brought them to where they are today, Hault have remained devoted to delivering a performance not presently heard from original rock line-ups. Thanks to Sean Fitzpatrick (bass) for providing our first guest editorial for 2018. Creativity: don’t be afraid to grind it out. One of my favourite song writing anecdotes concerns Justin Hayworth of The Moody Blues turning up at rehearsal one day. Hayworth had written a song quite quickly the night before but was reluctant to present it to the rest of the band. The music felt to him to be too simple and the lyrics WAY too vulnerable; it sounded like a song penned for personal therapy. He was very unsure about the chorus in particular – could anything be more obvious and dreary than, “and I love you, yes I love you, oh how I love you”? The song, of course, was Nights in White Satin and played a pivotal part in launching the Moodies as a vanguard band of the emerging British prog rock scene. So, what turned it around for a song that was almost fated to be self referential in the line ‘letters I’ve written, never meaning to send’? In rehearsal keyboardist Mike Pinder stunned his band mates when he started to weave a haunting Mellotron counter melody through the ‘overly simple’ chord structure creating the track’s characteristic ‘hook’. 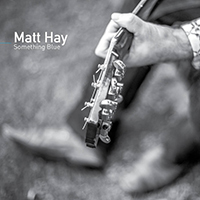 The potentially fatal banality of the chorus is rescued by the heartfelt sincerity in Haywarth’s vocal performance, backed up with the trade mark power falsetto of bassist John Lodge. None of this was in any way a reworking of the song. It was all about arrangement and sublime performance...and a writer willing to get over himself. Those of us who write songs may well be able to relate to this struggle. There is a commonly held idea that if a song does not come quickly and easily it should just be scrapped; that good songs do not need to be forced...either by writer or by a band when presented with a draft idea. While essentially true though, there is a wide margin between forcing something and taking the time and attention needed to make the most of raw creative output. We are talking about shaping and polishing gem stones here, not crushing coal into diamonds on demand. For some who have a ready supply of new material to work with it is both a temptation and a luxury to throw out ideas that are potentially golden but want for a little HARD WORK. Elton John and his band for example were notorious for scrapping a song altogether if they did not nail it in less than four or five attempts. For the rest of us mere mortal talents the ratio of inspiration versus perspiration may be very different. It may also change over time. For myself I have songs, some of which are played in Hault that were written years ago that only now are ready for public consumption. I also have sections of songs waiting to be completed that date back just as far. Many of the songs already written when I joined the band have since been rewritten either by myself or others. This is art. There are few actual rules and ever one of us is finding or making their own path (or both) constantly. Enjoy the journey, but don’t fear the grind. 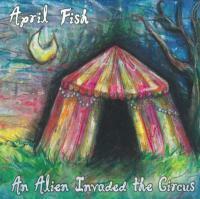 April Fish are Katie Morton (vocals, piano) and John Costa (war guitar, vocals). 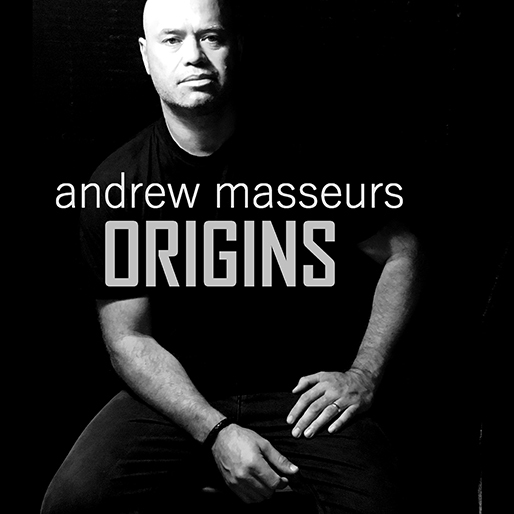 Andrew Masseurs is proud to release his debut solo album, called Origins (Bandcamp, Spotify, iTunes). Recorded over the last year or so, it’s a combination of work Andrew has had lying around over the last 10 to 15 years. 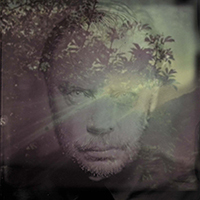 "I’ve done pretty much everything on the record and have taken on mixing duties. Mixing is my new passion. So enjoyable. 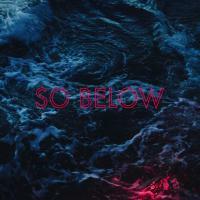 I’m releasing a couple of singles this month from it. The rock single So Violent and the atmospheric track, Ghost." "Last year I had already released two singles from the album, Without You and Deep Sunrise, This year I hope to make maximum impact with a total of 7 singles to be released." 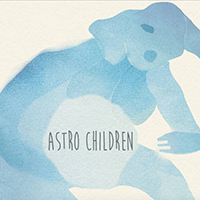 Andrew released an album in 2011 with Wellington band Ammp, called From the Back of the Sun and an EP last year called This Chaotic Symphony. So Below is Madeline North. After December's release of the collection of singles, III, which signified the departure of their vocalist Jason, the Inside the Muziccrew were invited to chat with Will, Jared, and new vocalist Rhys about everything Primacy. Alex (Interview): Welcome to this episode of Inside The Muzic, today we are talking to Brendan from Apollo SteamTrain. Good to have you up in Auckland. You are Tauranga based? Brendan (Vocals/Guitar): I've just battled the motorway, only a four-hour trip today, but I'm here. I hope the rest of the band is on their way in. Alex: Auckland traffic. Never underestimate it. Brendan: Absolutely. It seems to have gotten heaps worse since I left 12 years ago. I used to have a driving job in Auckland and I thought it was bad then. Alex: While Ed Sheeran is also in town, you've got a show at the Ding Dong Lounge? Brendan: We are here to play our first Auckland gig, with a band called Ocean Beach, who are old mates of mine from Dunedin days, and Subscond, who are Hamilton and Auckland based, that we met last year playing Nivara lounge. Looking forward to it and hoping a few people are going to come along that aren't going to Ed Sheeran. Alex: How did the band get started? I hear you were the pioneer. Brendan: I just got sick of playing covers, which I'd been doing for about four or five years from when I first moved to Tauranga. I used to play a lot of original music in my twenties, and that just sort of ended because of family, commitments, and life. Life got in the way. I got back into music and got into covers but realized I really want to play my own stuff. That was 2014 and I didn't know any musicians that wanted to play original music in Tauranga at that point. So I went into a studio and demoed a whole heap of tracks by myself. Due to life and day job commitments, it took about 15 months. 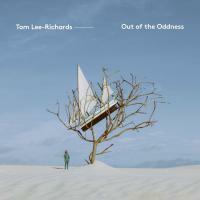 Coming out the other side, I played it to my old friend Jan Hellriegel and she signed a publishing deal straight away, and then a couple of tracks were used in Shortland Street. Off the back of that mild success, I thought I could see something quite good happening here. 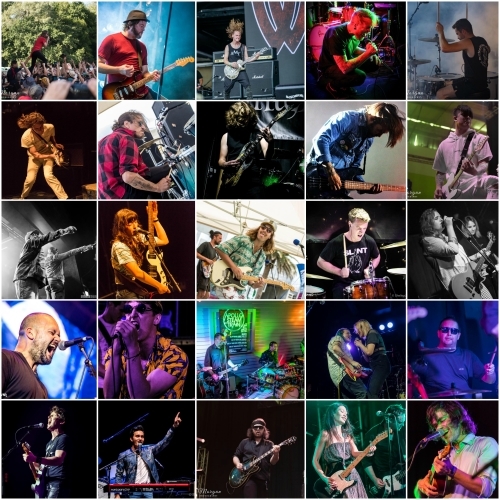 In the start of 2016, I started to look around for the best musos and it's taken a year and a half to finally get that line up right. The band's been playing; seven or eight gigs last year, and three or four in 2016. We've recently moved to a four piece and the lineup is good. It feels right for reproducing the studio sound. It's a bit of a journey and a bit slower in the evolution of a brand new band than if we were 20 years younger. But it's good, we're enjoying ourselves. Alex: So you did all the recording yourself? All the musical instruments? Brendan: Almost. We did live drums. I'm not good enough to track at a studio level, so I used a session drummer, I did the bass and guitar, and the producer at the studio did some keyboard, piano, made up some strings for a few bits and pieces. It was just pretty much myself and this guy, Tim and come up with what we call the demos. It was originally going to be a studio project, and I was just going to put it out there as an album, but when we started to get a few industry interests, we decided to slow down. We took that batch of songs and got one remixed by Clint Murphy. Through the MMF (Music Manager Forum) I met James Southgate (Devilskin's current manager), he said: "Let's get a track in front of Clint Murphy in the UK". I don't know who he was at the time. He came back and of course, the sounded pretty huge, so we've got one huge sounding track. If we put one huge selling track out there, people are going to want another one at the time we didn't. So we slowed down completely, practised, saved some money and went to Roundhead Studio to record two more with Greg Haver. They went through the Jason Nick Portman/Clint Murphy chain and that is what Brain Bell Jangler is, the first of that Roundhead session last year. Now we're on sort of a journey of rinse and repeat where, Brain Bell Jangler been playing for about two months and so we're on the end of life for that single, and the new one is ready to go. Alex: How did you find your other musicians in your band? Brendan: The old-fashioned way, mostly. The drummer, it's a long story. Les Robinson was the drummer for a while, but he's now done a complete Dave Grohl and jumped on the guitar. He had a notice up on a music shop board advertising himself as a bass player because he's one of those people that you hire who can play anything. I do solo gigs to get money, playing covers on an acoustic guitar stuff, to get money to put into originals for recording videos. I found the notice and then rung him up. The guy had said he can play the drums as well. I rang him up to see if he wanted to come in and jam, and he's like, "Yep, cool". I said I've got a gig tonight, and he says "I'll bring my bass" but no, I want you to play the drums. He just says "Yeah, it'll be alright". We do this gig with him on bass, and if he can play the bass like that, I didn't even need to see him play the drums. I asked him to do the drumming gig and that's how I met him. We had another bass player that I knew from local circles, but then he got really busy, and I found Ian Clark through Facebook. We did a few gigs as a three-piece, but while this all this recording and was going on we realized that we needed to be a four-piece, and it's taken us most of 2017 to the find the right person. What got Lee to do the Dave Grohl thing and moved to the guitar and a drummer that I've known for years called James Bos in the Tauranga music circle for quite a while. Got him on the drumkit. Now we're four dudes living the dream. The finalists for the 2018 Vodafone Pacific Music Awards have been announced at the Otara Music Arts Centre, which is celebrating its 30th anniversary this year. New Zealand-born, Berlin-based neo-soul singer Noah Slee leads the 25 finalists who are set to be honoured at the Pacific Music Awards ceremony on 24 May at the Vodafone Events Centre in Manukau, Auckland. Noah is up for four awards off the back of his debut album Otherland including Pacific Media Network Best Pacific Urban Artist, NZ Music Commission Best Pacific Male Artist, NZ On Air Best Pacific Music Video (along with Si Jay Gould) for his single Radar, and Recorded Music NZ Best Pacific Music Album – which is an official Tui. Onehunga hip hop crew SWIDT tore up the stage last year at the Vodafone Pacific Music Awards with a high energy performance of their hit 312. The group return this year, with finalist nods for both Pacific Media Network Best Pacific Urban Artist and Recorded Music NZ Best Pacific Music Album for their debut album Stoneyhunga. Another hip hop artist garnering attention at the moment is Kings, who is a finalist for NZ Music Commission Best Pacific Male Artist and SIT/MAINZ Best Producer for his self-produced debut album Chapter One. Independent Music NZ announces the 2018 recipient of the Classic Record which aims to acknowledge New Zealand's rich history of making fine albums that continue to inspire us and that also define who we are. 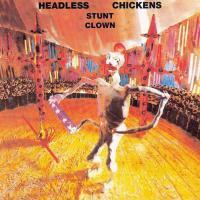 This year's judging panel have given the nod to The Headless Chickens' Stunt Clown (Flying Nun 1988) as one of Aotearoa's classic records. 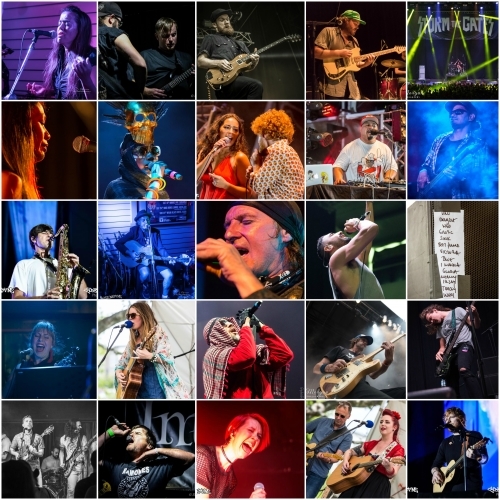 Independent Music NZ (IMNZ) is very pleased to announce that the finalists for the Taite Music Prize 2018 have been confirmed. 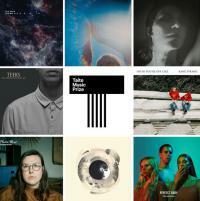 Now in its ninth year, the Taite Music Prize recognises outstanding creativity for an entire collection of music contained on one recording. 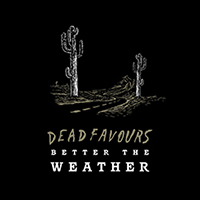 Warner Music New Zealand is proud to share the exclusive titles that will be available on Saturday, April 21st, universally recognised as Record Store Day. We celebrate this special event with a treasure trove of exclusive titles pressed on 7” and 12” vinyl available at independent record stores throughout New Zealand. Record Store Day was conceived in 2007 at a gathering of independent record store owners and employees as a way to celebrate and spread the word about the unique culture surrounding independently owned record stores in the US and internationally. The first Record Store Day took place on April 19, 2008. Today there are Record Store Day participating stores on every continent except Antarctica. Nomad - Can You Feel It? Our very special NZ MUSIC MONTH newsletter is going out on Sunday, 6 May 2018! 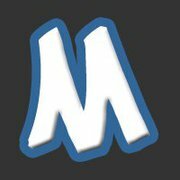 Muzic.net.nz newsletters are currently sent out to over 8580 members!